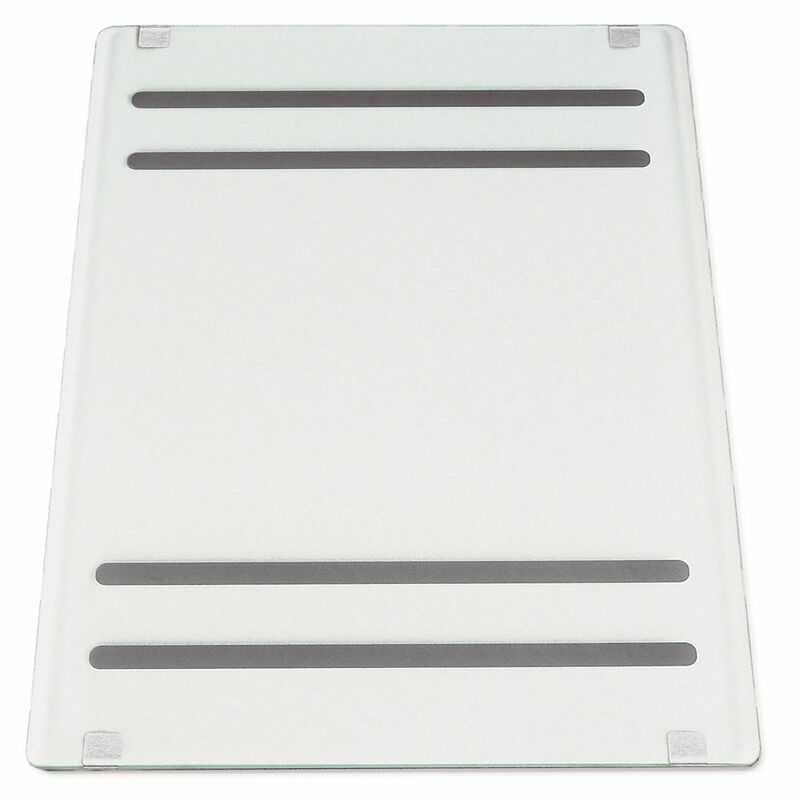 Frosted glass board for chopping and serving. Registers on sink ledge. Dishwasher safe. This acacia butcher block wood cutting board is 16 inch x 12 inch x 1.5 inch and is finished in a beautiful golden teak food-safe hard wax oil finish. Acacia has natural water resistant properties ideal for kitchen use. The end-grain butcher block construction is very durable great for cutting food. This acacia wood baguette cutting board is 6 inch x 20 inch x 1 inch and is finished in a beautiful golden teak food-safe hard wax oil finish. Acacia has natural water resistant properties and is ideal for use for food preparation. Frosted Glass Board Frosted glass board for chopping and serving. Registers on sink ledge. Dishwasher safe.